Here we are back to Monday. I hope you all had a great weekend, ours was pretty relaxing. Here are a few things that we did. Friday was a really rainy day. 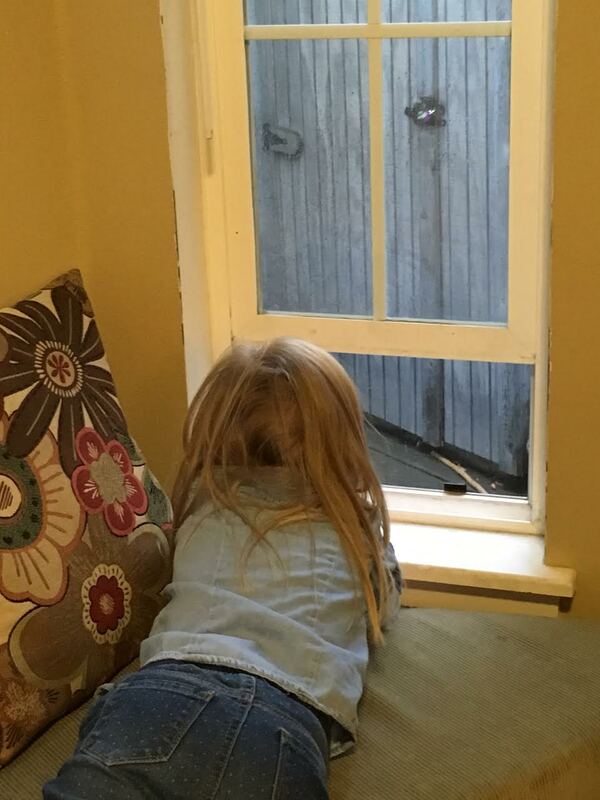 We were so glad for the rain and spent the morning cleaning the whole house, listening to a book on tape and watching the rain with the windows open. It was nice to get a lot of housework done (because it's been a little neglected lately) and the nice cool air was nice in the house. 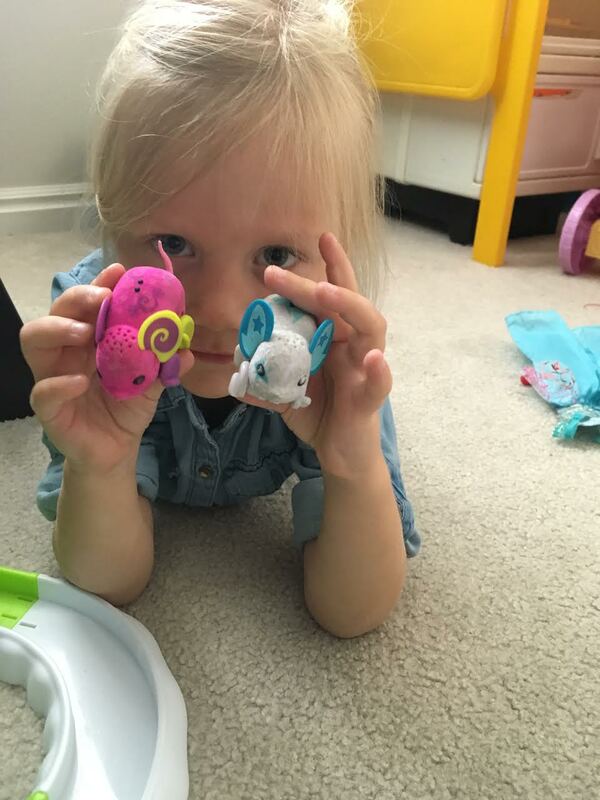 Our next activity was playing mice with M. These are great because they are like pets but they only die when the batteries die and you can always replace the batteries. 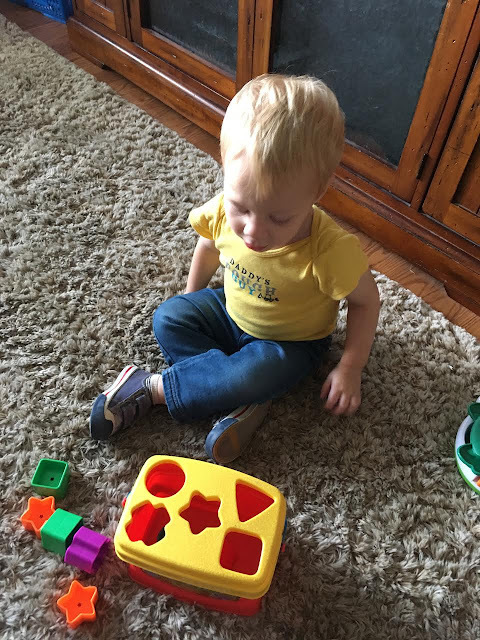 Then it was shape time with V. He's a pretty busy boy so he's not all that interested in sitting and playing with toys like this but lately he's finally been into it. It didn't last too long, but it was nice to have him still for a few minutes. Saturday was sunny but cold. That rain made our temperatures over 20 degrees colder than normal. 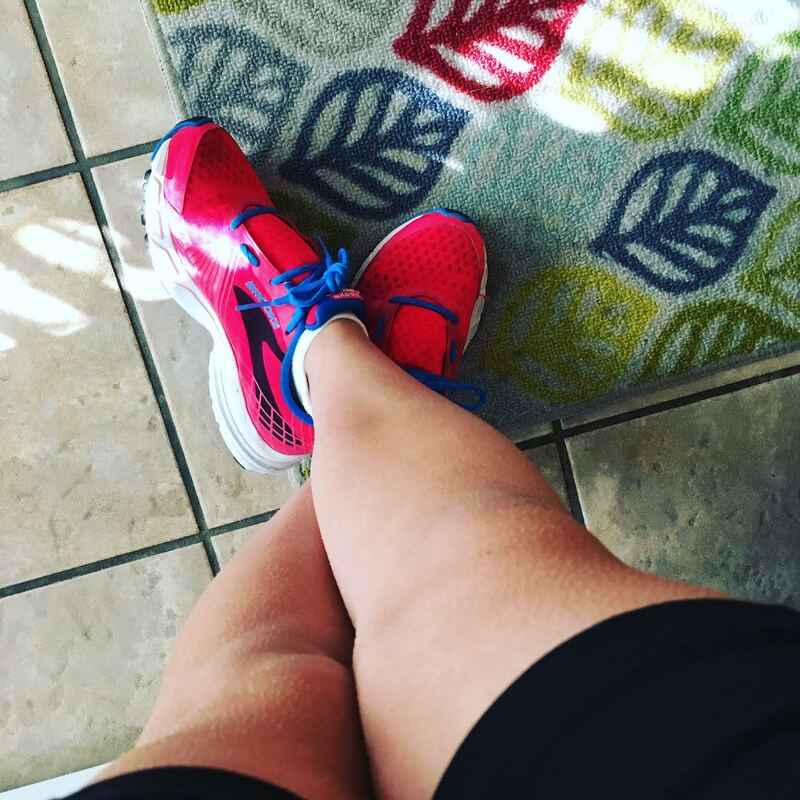 I did the Drop and Go treadmill workout from the Hungry Runner Girl's blog (she gave a whole bunch of interval workouts try) and walking home I got goosebumps all over my legs. This isn't real good news for my race on Saturday. It's not looking like it's going to be getting any warmer. V wandered around the house with his blanket like this all morning. 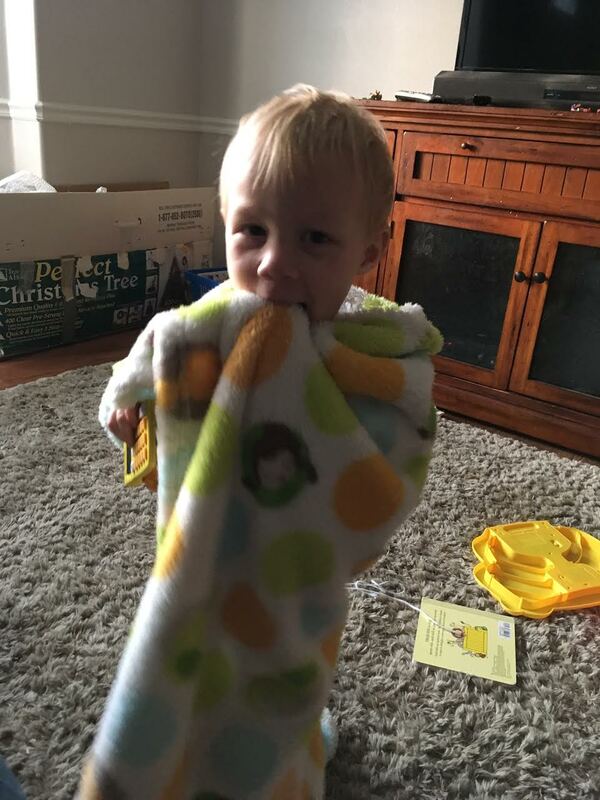 I love that he loves his blankey. (He also thinks this calculator is a phone). The girls went to play with friends for most of the day, which means I got to go out and get some errands run kid free. 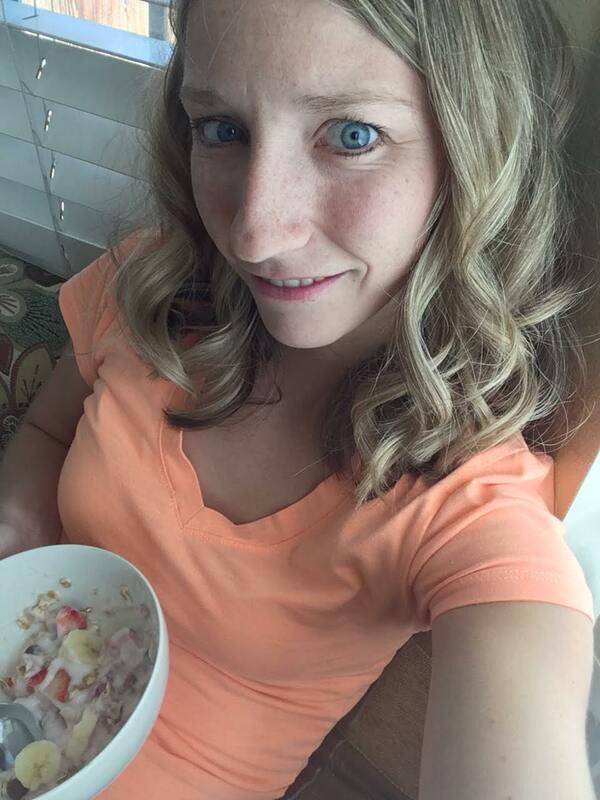 Lunch was granola in one of my favorite spots in my house. I am not a banana fan but I decided to put it on my granola with strawberries. I didn't hate it, I actually liked it. But I still don't like bananas. Are you ready for the cool fall weather? What is your favorite/least favorite fruit? Do you have a favorite spot to sit in your house?